Stunning Home: lakefront, at WFC&R resort, sleeps 10, 5 bedrooms, 3 fireplaces! Whiteface Club & Resort: golf, tennis, swimming, boating, hiking, 3 restaurants! Welcome to our beautiful private home at the Whiteface Club & Resort in Lake Placid! We have 5 gorgeous bedrooms that sleeps 10 total with the third floor master suite having a king bed, fireplace, deck overlooking the lake and a full bathroom with a jacuzzi. There are two more bedrooms with a queen bed for two plus two more bedrooms with single beds for two and all with private bathrooms and overlooking a small waterfalls. There are 5 bathrooms total and all beautifully decorated with tile and ADK decor throughout. Our kitchen is very high end with a double Viking oven, stove island with vent hood, flat screen TV, desk area, wet bar, wine cooler, beautiful cabinets and a sloping beamed ceiling. There is a coffer maker, Keurig and most everything else you may need. Our living room is spacious and just off the kitchen, an open floor plan with the dining room adjoining it and the staircase up to the second floor. We also have a wood burning fireplace, 55" TV, two game tables, a ceiling fan and plenty of room for everyone. The dining room table seats 10 with gorgerous chairs and plenty of room. There are two decks, one off the master suite and the other off the living room and with a 20 foot wood burning fireplace, gas grill, 2 ADK chairs and a table with chairs for 4. The views of the lake, mountains and marina are truly breath taking! The hallway leading into the main part of our home is lined with small birch trees and with a winding staircase to the upper level on one side and the dining/living room on the other and with snow shoe lamps! There is parking for multiple cars and our location overlooks the marina and lake at the resort and about 100 yards to the water, marina, Moose Lodge restaurant, small beach and with a wrap around deck on the water. The resort has swimming, boating, hiking trails, golf, tennis, cross country skiing, a Nordic center and three great restaurants on site. There is also a spillway about a 15 minute walk down where the lake forms a beautiful mountain stream with a wood bridge across leading to hiking and nature trails along the lake and a perfect place to swim and walk the dog! You can walk to everything at our resort and yet we are just five minutes into town by car! At the Whiteface Club & Resort which has golf, tennis, a beach for swimming, hiking trails, 3 great restuarants, XC skiing and snow shoeing, a Nordic Center, Maggies Pub, a marina, boating and spectaular views! toilet, tub, shower, Gorgeous tile and ADK decor throught! We are at the resort which is very private and in nature but yet only 5 minutes into town! We are about 100 yards from the 1st tee of our resorts beautiful golf course! We overlook Lake Placid and with spectacular views of the lake! Stunning views of Whiteface Mountain and the surrounding Sentinals! Yes there should be plenty of private parking for everyone! We have a beautiful and comfortable living room with a huge fireplace, 55" TV, two game tables and easy access to the kitchen, dining room and upper level! Our stove in the the middle with our island and with a large vent about it! We have a stunning kitchen with a wet bar, TV, desk, island stove, granite counters, a double Viking oven, great views of the lake and much more! We have a gorgeous dining room table which adjoins our living room area and with plenty of space and comfort for everyone! Yes there are several TV's throughout our home! We have two games tables, for Connect 4 and chess/checkers plus many more! You can rent them from our resort! We have two stunning decks/patios which overlook the lake, one off our master suite and the second off the living room and with a 20 foot fireplace! This home was very beautiful! There was an amazing view of Whiteface and Lake Placid. The bedrooms were exactly right for our family. The house was very well appointed, we did not lack for anything. Thank you Baldwin family for letting us enjoy your home. 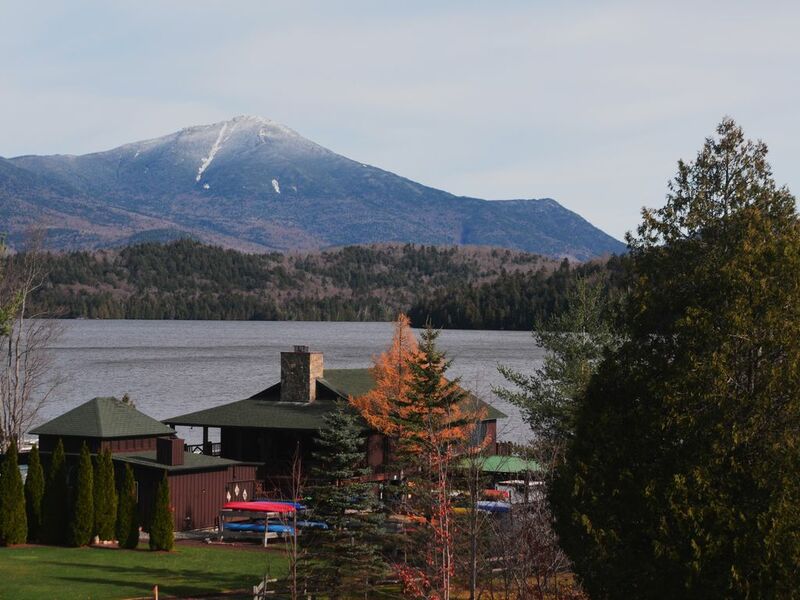 There is something for everyone at the Whiteface Club & Resort with hiking trails, tennis, golf, swimming, boating at our marina, cross country skiing and snow shoeing and 3 great restuarants and all within walking distance!